February 20, 2017 January 19, 2017 Laura M.
Last and not least, for day 7, and the final day, I bring you Okami. If you haven’t yet played this one, boy are you missing out! 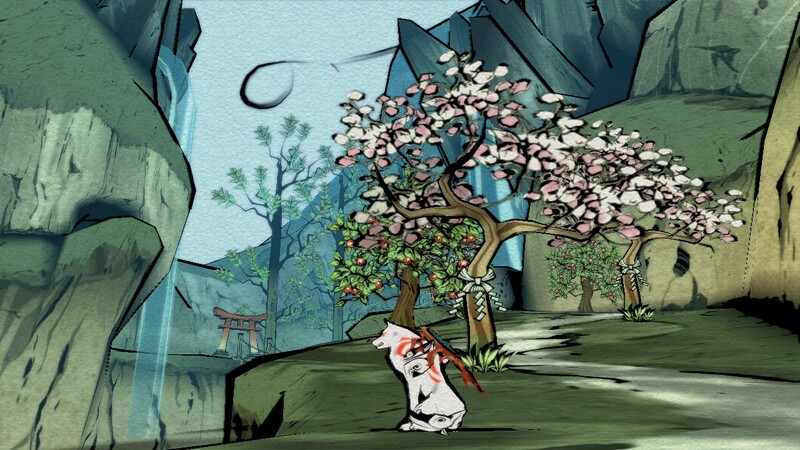 One of the most distinctive things about Okami straight away (besides you being a wolf, that is), is the art style used throughout it. Even when it maintains 3D elements, the cel-shaded, cartoony like style is heavily reminiscent of the art style known as sumi-e, done with soft brushes and inks. 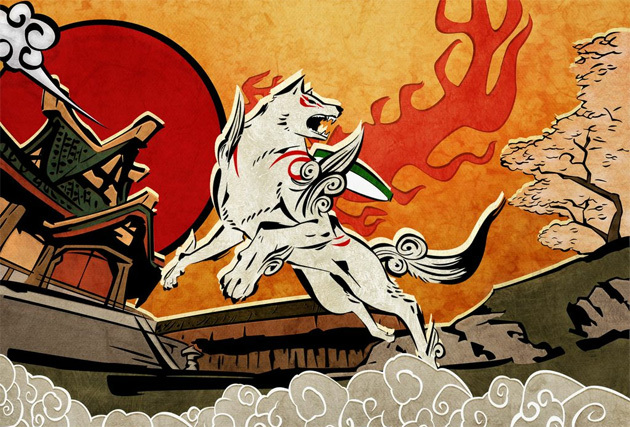 Colorful and interesting, the visual style of Okami is what first draws you to it. The story, gameplay, and music is what makes you stay. 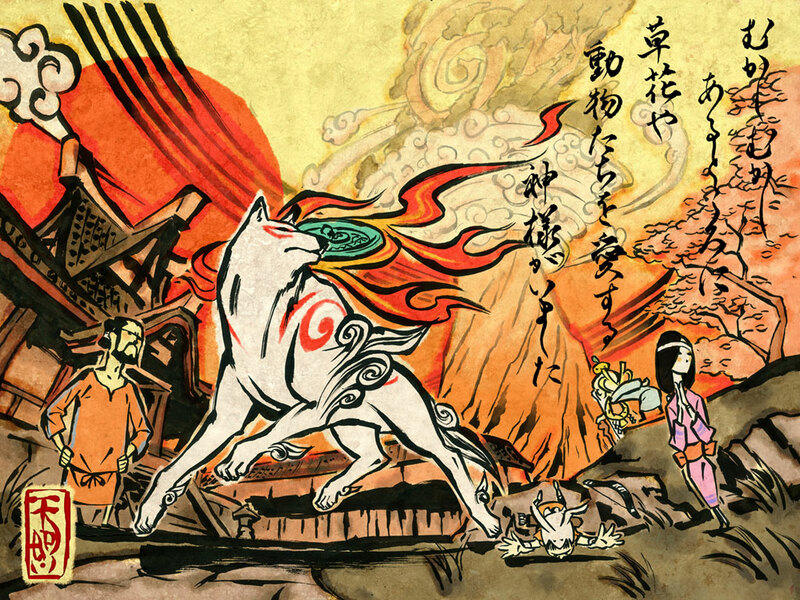 The more you progress on the story goal, the more you will be able to explore of the world and, along the way Amaterasu will gain the help of a (rather annoying but thankfully easily ignored) companion, as well as meet other characters that will either help or hinder her along the way. 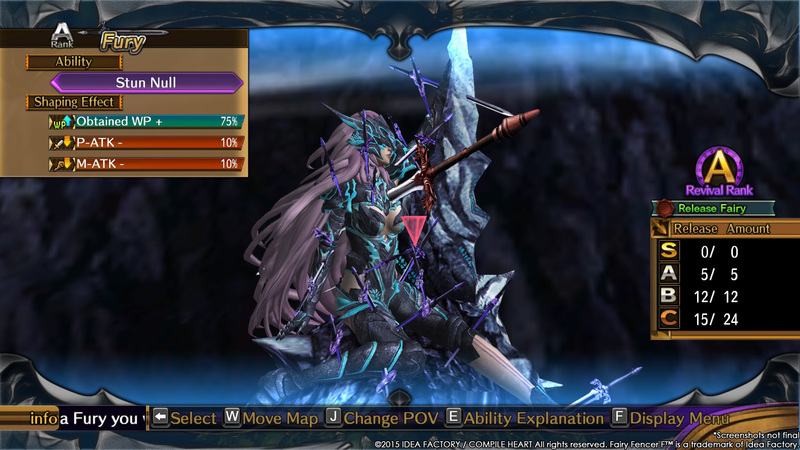 The game is RPG-styled; besides the main storyline quests you have side quests, mini-games, and some extra fun activities, such as feeding some wild animals or making trees bloom once again, slowly restoring the land to its former beauty. 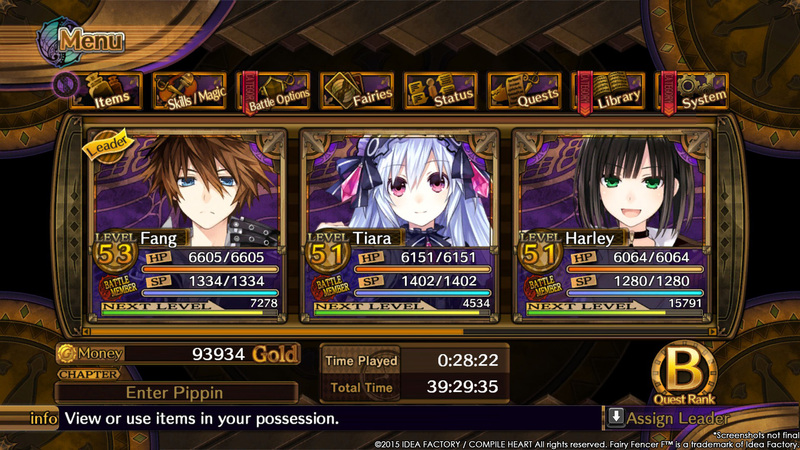 Each of these actions reward you with points later used to help raise stats, such as your health. 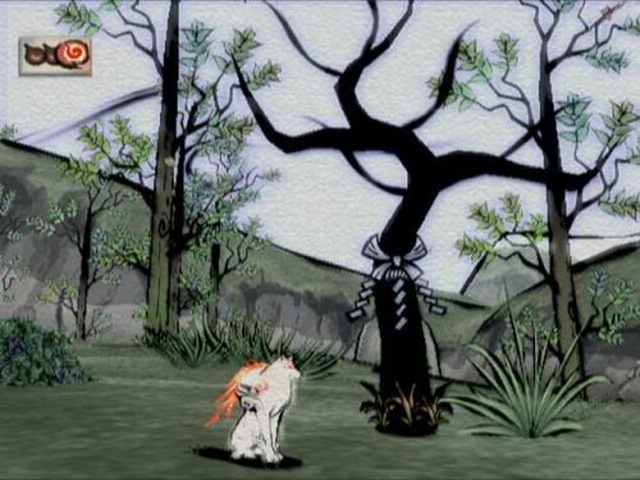 Besides the basic attacks, Okami has a couple fun ones too: like peeing on an enemy or barking at them to attract or annoy them… but her main forte is her weapon, the Celestial Brush, through which, by drawing a certain symbol, you call forth certain powers: such as making trees bloom, attacking enemies with powerful attacks, etc. Of course, using this uses up ink, which requires you to keep a stock of this handy. Not everyone on the land know that this lovely little wolf is actually Amaterasu, and thus I found it a little weird that most villagers would randomly decide to put quests on what’s basically a dog… but I suppose that can be forgiven, as some of the quests are quite funny and interesting, as are the character’s reactions to the wolf’s actions. Matching the feudal Japan style, the music used throughout the game, sometimes upbeat, sometimes not, is a perfect companion to the game. It’s so good in fact, I’ve even found myself wanting to get the sountrack for it. If you haven’t yet, be sure to check out my other reviews for the PS2 Review Week series! Read you next time! A great game that should be experienced by all! January 25, 2017 January 19, 2017 Laura M.
For day 6 I bring you along ICO. You’ll aww, and you’ll cry. 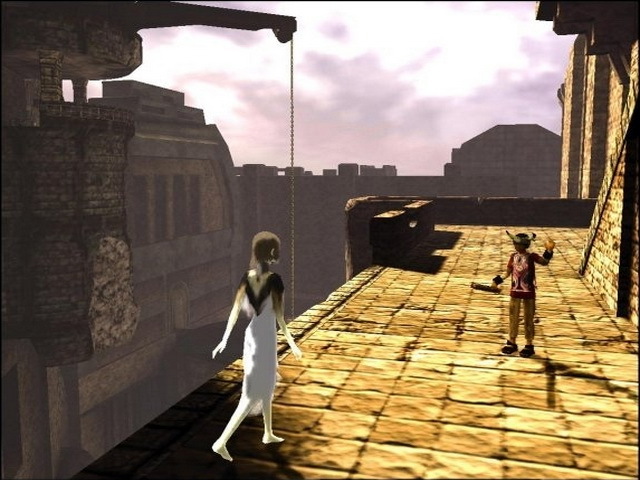 Ico is a puzzle/platformer game, and as such, you will be scratching your head several times trying to figure out the puzzles, some of which will require Yorda to help you – and Ico to help her in turn, with the final goal of escaping the fortress. The graphics and the general artistic air of it all is simply beautiful, breath taking even, the details on the fortress and on the characters bringing them easily to life, along with their very distinct personalities helping plenty to do this as well. The soft music and sounds seem perfect to the game as well. 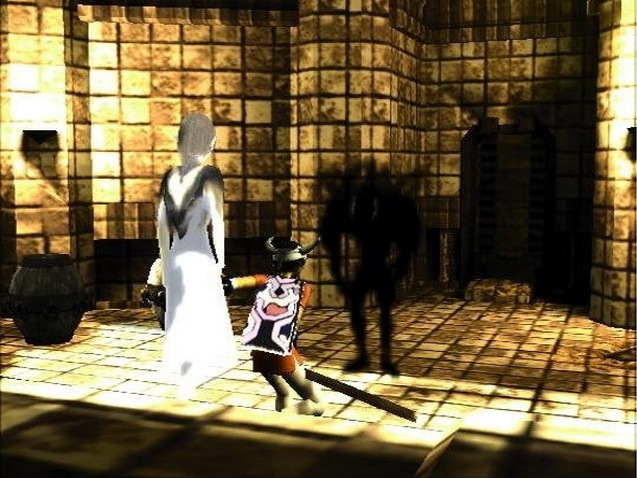 The game is most immersive and the uniqueness of Ico and Yorda, as well as their growing friendship (have I mentioned they hold hands? They are both super adorable! ), totally pulls at all your heart strings over and over again. Honestly, there is nothing to hate at all on this game. It’s beautiful, it’s artistic, it has a great story, and great gameplay. It’s definitely a must play, and, once you’re done, I definitely recommend you go and read the book it was based on, as well.